The champion for Asian vehicles! 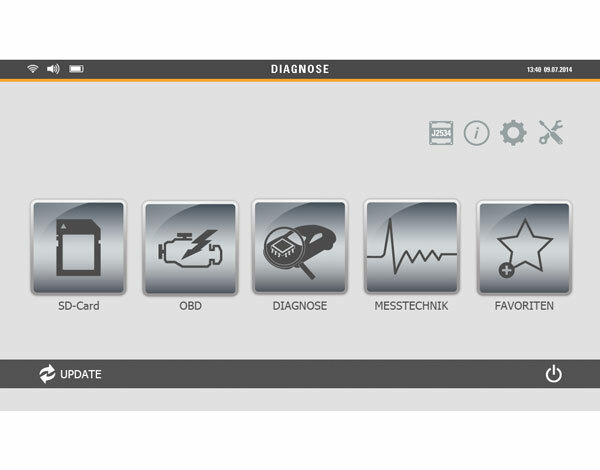 The new, PC-based self-diagnosis variant of the Inspector boasts greater flexibility and an even better price-performance ratio (without a subscription or set contract period). Thanks to its comprehensive array of software, it shows off its impressive model depth and functional coverage on any PC, laptop or tablet with an operating system of Windows 7 or later. 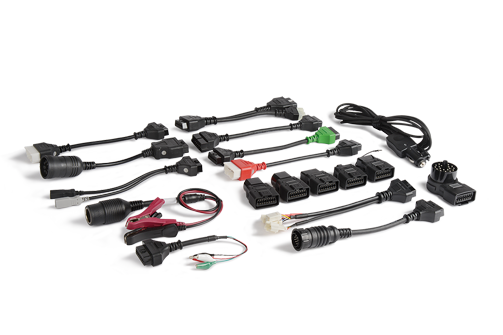 The customer receives a VCI (Vehicle Communication Interface) along with the Inspector. 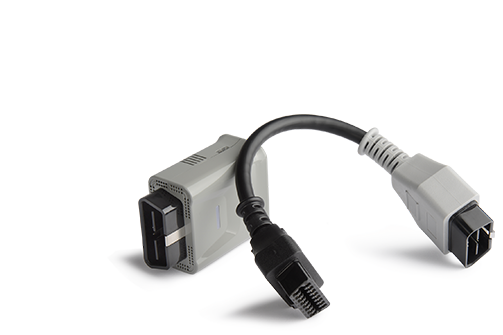 The VCI is a communication interface – an OBD dongle with an integrated multiplexer in an ultra-compact package that establishes communication with the PC, laptop or tablet. 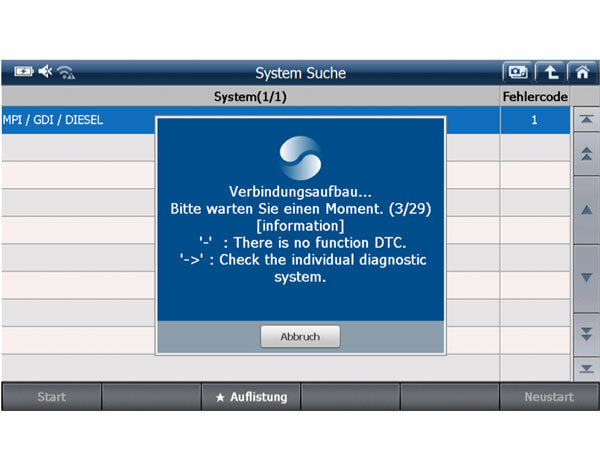 system coverage and diagnostic accuracy, it is absolutely first-class. 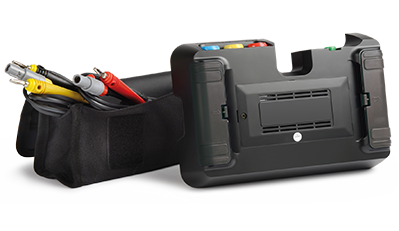 As an expansion module to the diagnosis unit, we supply an electronic measuring device for graphically displaying electrical voltages on up to four channels. This can exclusively be used in combination with the Inspector and is docked on the rear of the unit. Through this combined operation with the oscilloscope, the Inspector is supplemented by an important module and offers mechatronics engineers the equipment they need to achieve the very highest success rates in their day-to-day challenges. You can find the accessories to match in our online catalogue. All you need for vehicle diagnosis. 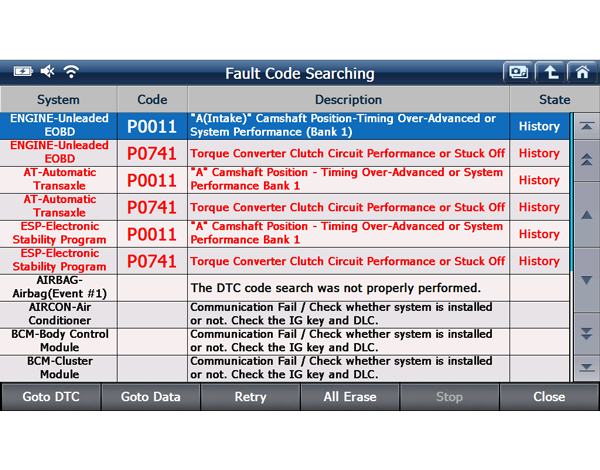 The fault codes are displayed in plain text and in full length. 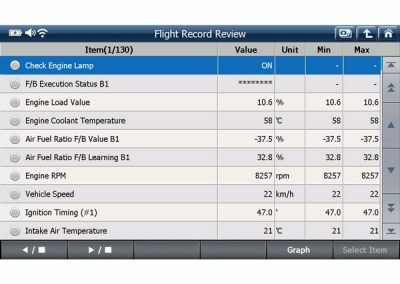 All live data at a glance! 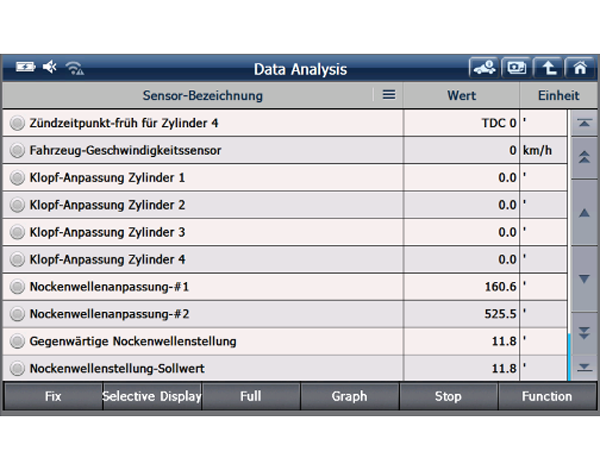 Individual data can be selected, displayed in graphic form and/or printed. Individual parts and control units can be actuated here. 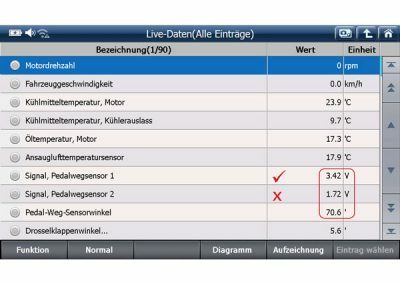 In-depth special functions such as injector or TPMS encoding. 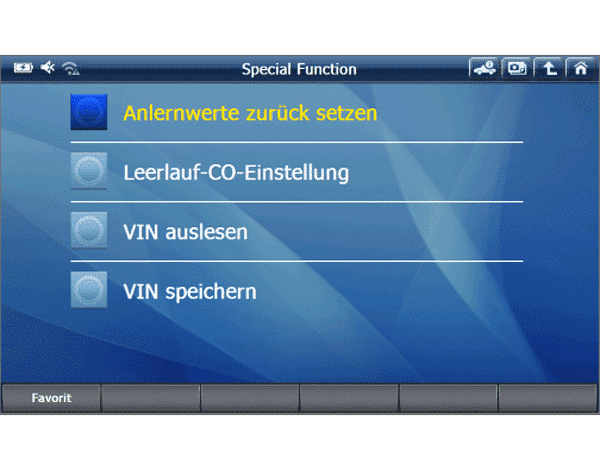 The Inspector’s simple selection menu permits a quick and easy selection of the system without complex vehicle identification, guides you to your objective more quickly and also offers the full range of functions. 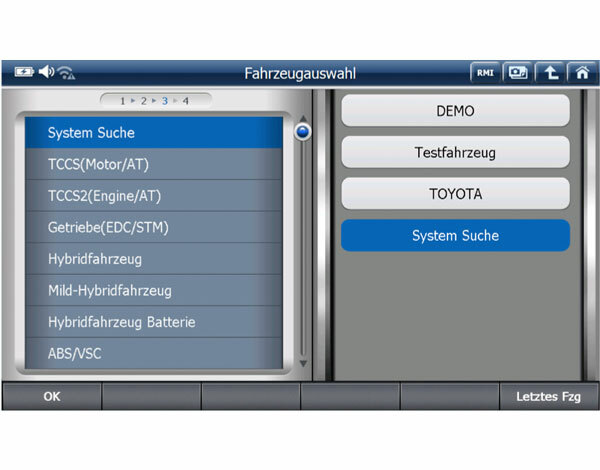 The system search automatically searches for all control units installed in the vehicle and subsequently creates a list of all the control units. 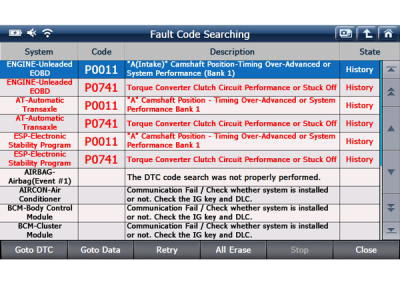 This contains further information about fault codes and additional control-unit-specific functions. 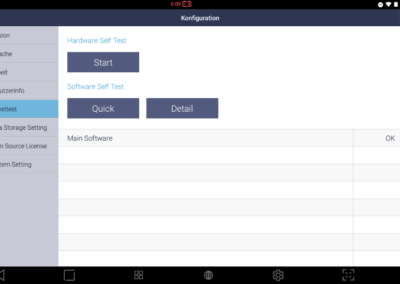 This allows the user to get an overview of the entire system in a few quick steps. 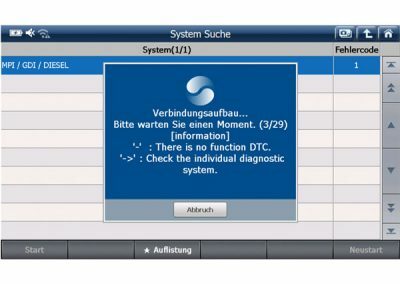 The individual control units can then be requested in detail directly from the list. Current views can have a comment inserted if required, and can then be printed straight away or saved for the purposes of documentation. Frequently used functions can be added to the favourites to allow them to be executed directly from the Start menu. 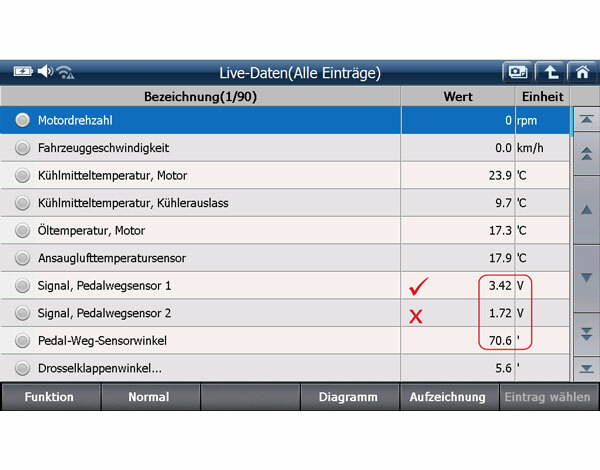 Using this feature, the individual lines of the OBD socket can be tested. Control lamps on the display indicate whether communications signals are present on the individual lines. 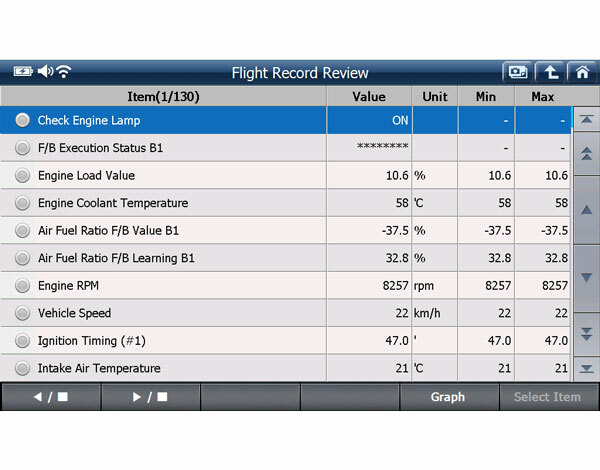 The flight recorder function can be used to record selected live data, which can then be transferred to a PC to be saved and evaluated. I work with additional diagnosis units besides the Inspector. The Inspector is always used if the diagnostic depth of other diagnosis units is not sufficient, which is particularly the case with Japanese and Korean models, so it’s worth its weight in gold for me as a dealer who specialises in one-day registrations for Hyundai and Kia. I’ve already had great success with the Inspector on other makes as well, including on Mercedes, BMW and VW Group models. For me, the Inspector is the perfect auxiliary unit! The update costs currently amount to €469 per year. How and when are updates performed? There are no fixed intervals for the updates. 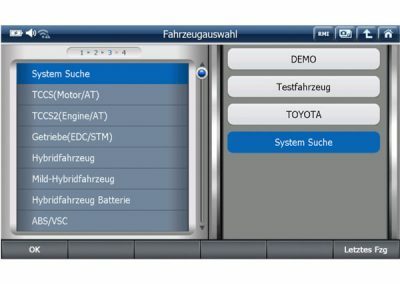 New functions, vehicle models or systems are not released in packages, but are instead available as individual updates immediately after development. 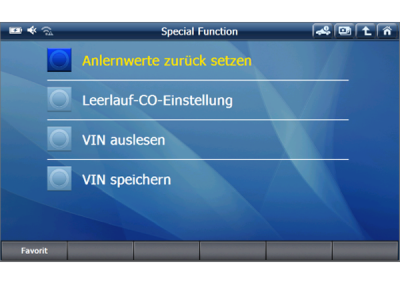 Once released, the update can be initiated very easily using the update function on the unit’s start screen. 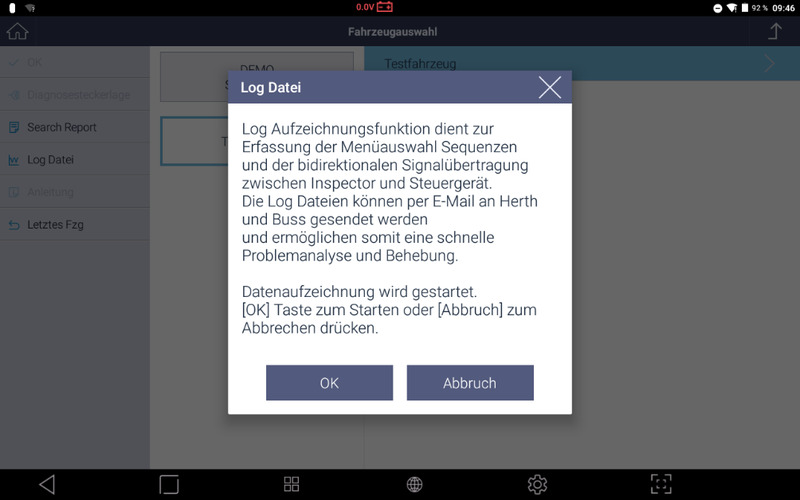 The download and installation then take place fully automatically. The updates are not compulsory. 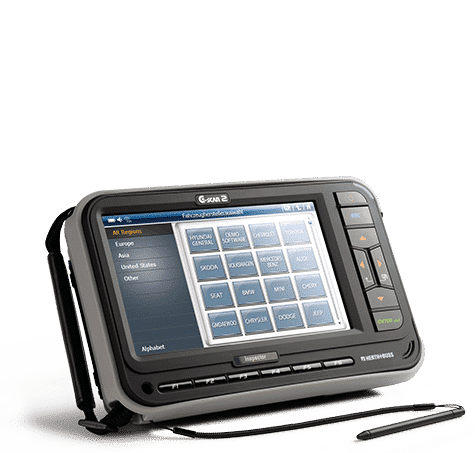 It is nevertheless strongly recommended to always keep the unit up to date with the latest software version for various reasons, including liability, technical support, etc. Do skipped updates need to be purchased later? No, skipped updates do not need to be purchased later. How is the customer informed about new updates? Direct notification of a new update is sent through the PC service program. This appears once the computer has been started up. In addition, information about new updates is released on our website and in the form of newsletters. There are no cancellation periods. The annual flat rate automatically expires after one year. After this point, the annual flat rate can be extended for one additional year at a time using the order form. 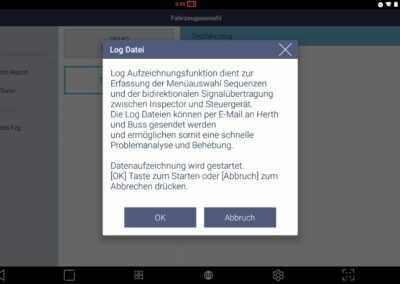 What is the difference between the InData and InData Pro information portals? With InData, we offer an information portal in which you can find technical documentation such as wiring diagrams, data lists and fault codes. The comprehensive information portal is available online at any time. The information comes from the documentation of the vehicle manufacturers. 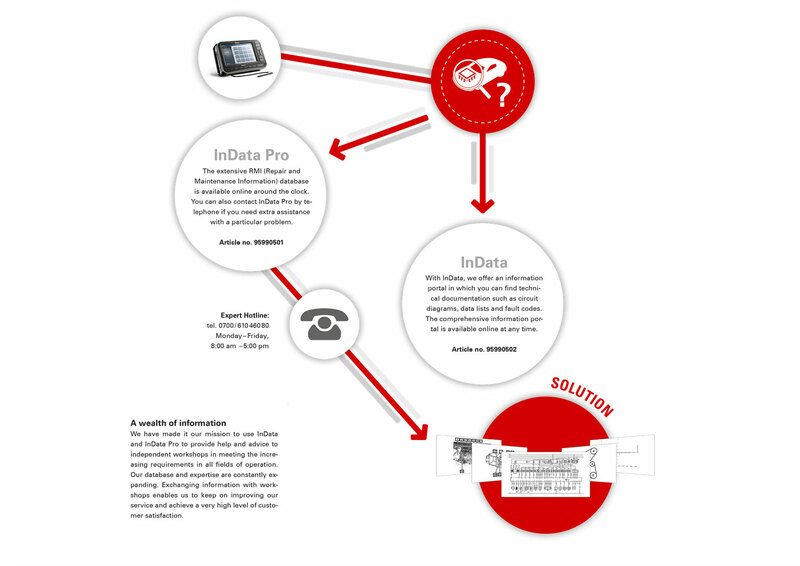 InData Pro additionally offers telephone support which is unrivalled – especially in the area of diagnosis and vehicle electronics. Here, additional questions can be answered or researched for you on an individual basis. Can the rechargeable batteries be replaced individually in the event of wear? Yes, the rechargeable batteries can be replaced individually in a similar way to a conventional laptop or notebook. What kind of operating system is used? 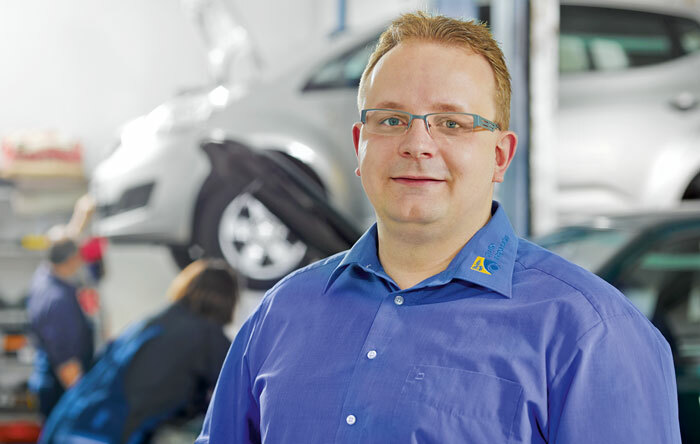 Inspector – The champion for Asian vehicles! 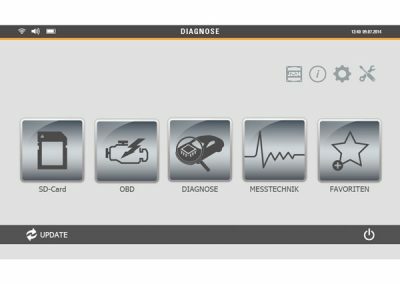 The Inspector is a multi-brand diagnosis unit specially developed for Asian vehicle models with a focus on Asian automobiles and commercial vehicles. It helps with challenging diagnosis work, maintenance and repair work. A real champion for Asian vehicles! meeting the increasing requirements in all fields of operation. 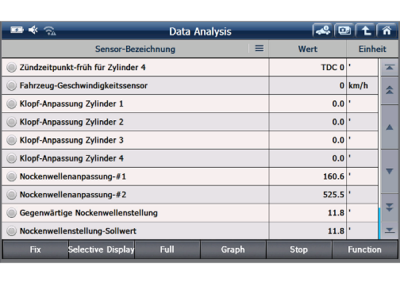 The Inspector software is updated by us at regular intervals. You can consult the vehicle list to find out which new vehicles have been added. Get your Inspector up to date!